Although I've always been out with my love for Japanese cuisine, there are still a lot I've yet to learn. And I'm sure glad I got to experience a new type of Japanese food a few weeks ago, all thanks to Rosanjin Japanese Restaurant. 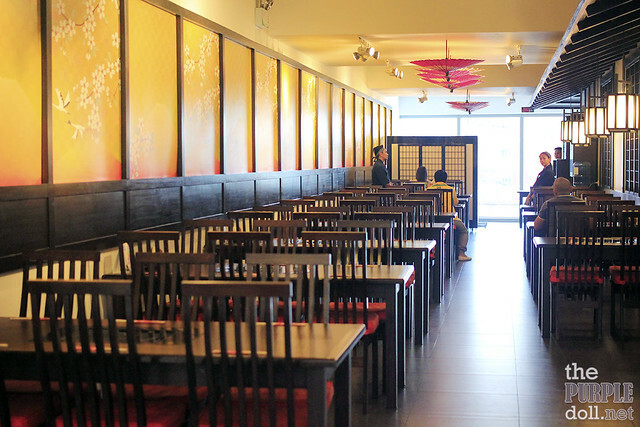 Located at SM Mega Fashion Hall, Rosanjin Japanese Restaurant is a casual dining resto that prides itself in serving modern Japanese cuisine. 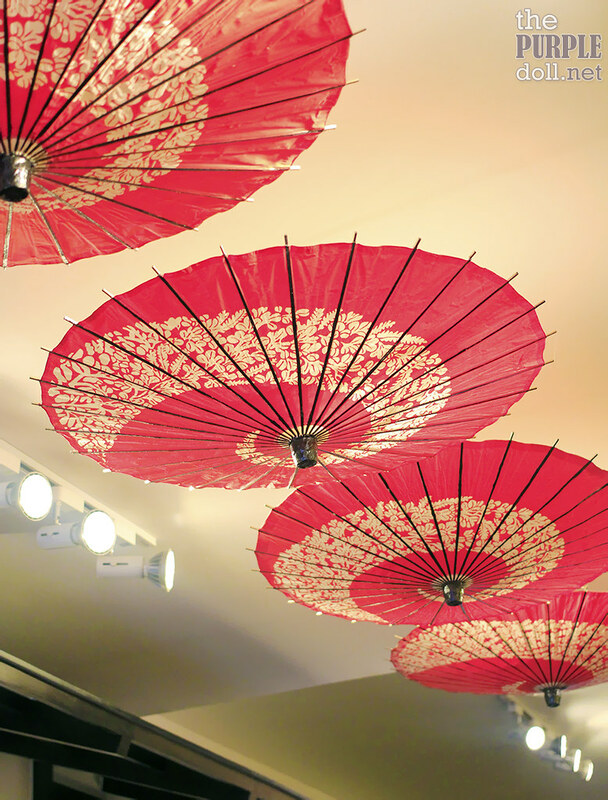 To better cater to a wide variety of diners, Rosanjin serves an array of menu from sushi, tempura, ramen, and rice bowls among others. However, we're all familiar with the usual Japanese fare already. So today, let me share with you the two types of Japanese dishes my friends and I got to try one weekend afternoon. Coming from "kami" which means paper, and "nabe" which means pot, Kaminabe is an art of cooking which makes use of Japanese paper called washi as a pot. As if like magic, the paper doesn't get burnt even atop direct fire. The use of washi also helps absorb the oil and scum from the dish, leaving a healthier and more delicate taste to the food. 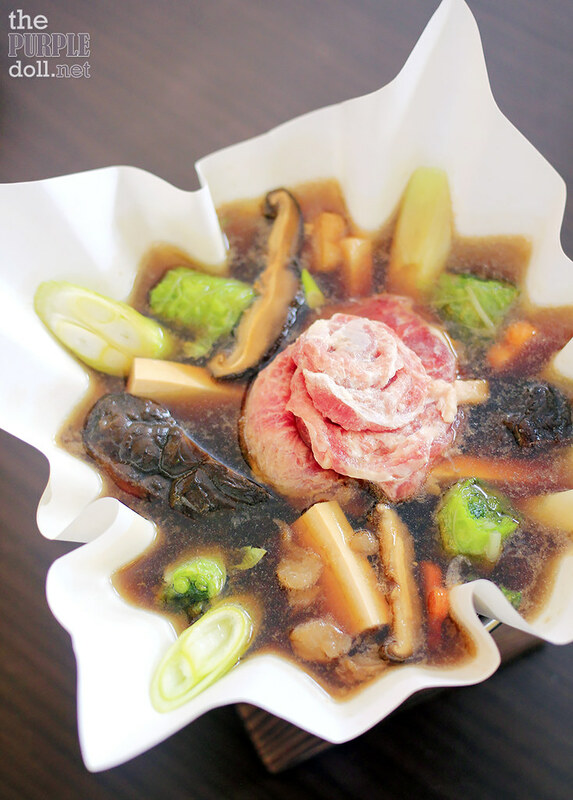 To start off our late lunch, we had a regular serving of the sukiyaki kaminabe -- a small pot of beef, veggies, mushrooms, tofu and glass noodles in a sweet and savory broth, perfect for one. And just like what it promises, the whole pot remained hot even until the last drop. We also had a regular serving of the seafood kaminabe -- a small pot of shrimp, scallop and buri (yellowtail) in a spiced soy-based soup. Since I'm not a big fan of sweet broths like in sukiyaki's, this variant is more up my alley. The amount of seafood in the regular portion may not be sufficient if you'll share it, but I really dig this taste-wise. You get to enjoy bold flavors of seafood with every spoonful of the broth. 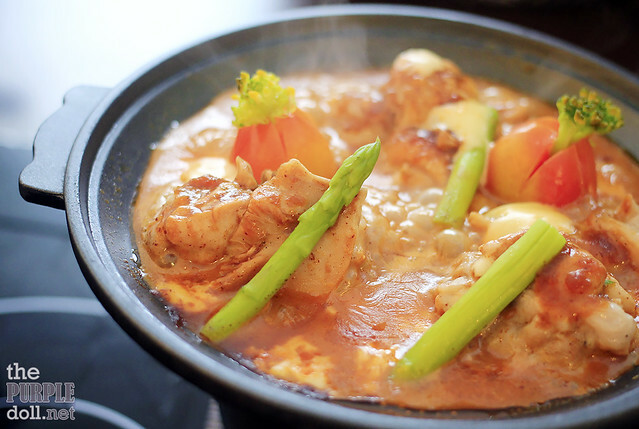 Tobanyaki is another Japanese art of cooking which makes use of "toban" or ceramic plates to "yaki" or roast meats. 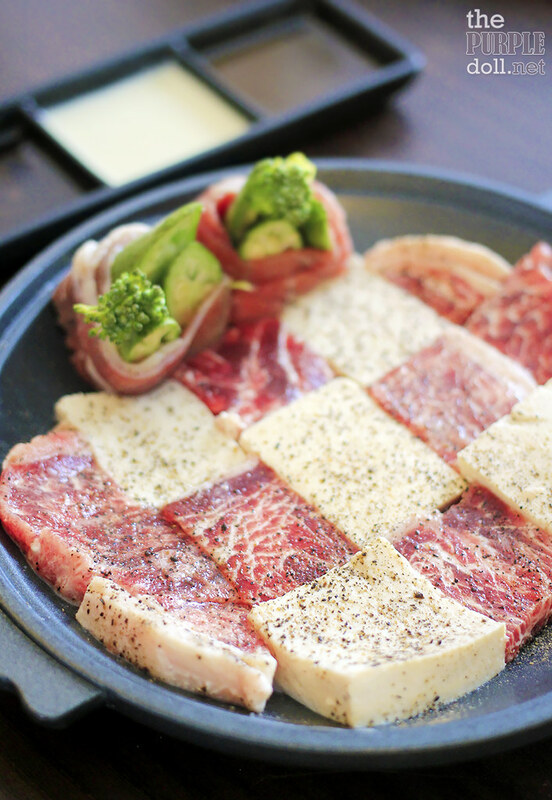 Since toban can easily transmit and retain heat even after removal from the heat source, it can cook meats more evenly and lock in the juices and flavors inside. It's also been said that cooking using the toban can eliminate unwanted food odors and give off negative ions (which are good for one's well-being). Served with three kinds of sauces: steak sauce, wine-based sauce and sour cream, this serving of pepper-seasoned beef and tofu pieces sure looks as good as it tastes. Cooked for 7 to 10 minutes with a ceramic lid, the beef was gently roasted to a tender and succulent meaty goodness. Yum! 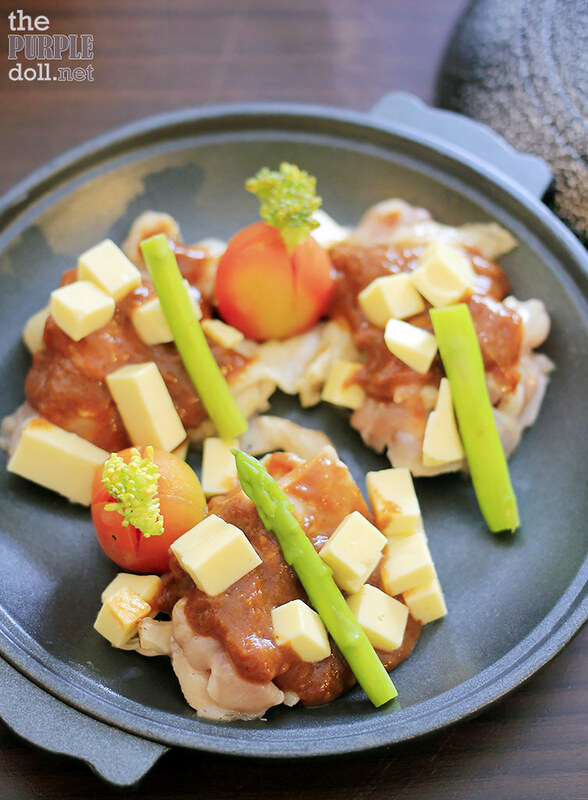 We also had the chicken cheeseyaki that comes with pieces of chicken thighs, cheese and asparagus in a tomato-based sauce. It took about the same time as the beef to cook this chicken dish. And when the lid was lifted, we were treated to a tasty and juicy chicken feast that simmered in a rich yet creamy tomato stew. 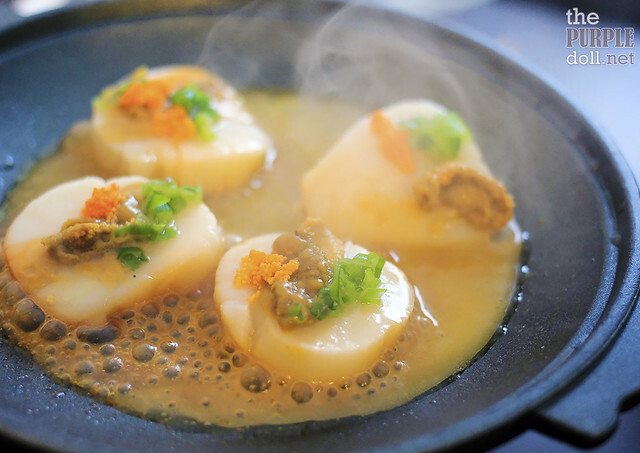 My favorite among the tobanyaki was this scallop variant. Although the actual dish is pretty simple, it's the XL-sized scallops that take center-stage in this serving. 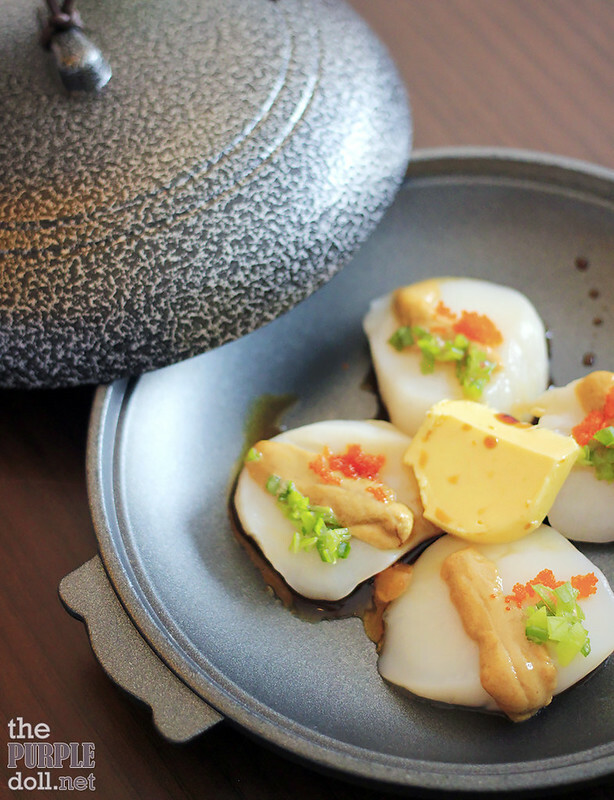 Cooked significantly shorter than the other two variants, every bite off the scallop bursts with buttery and juicy seafood goodness. The added uni (sea urchin) and roe were a treat too! 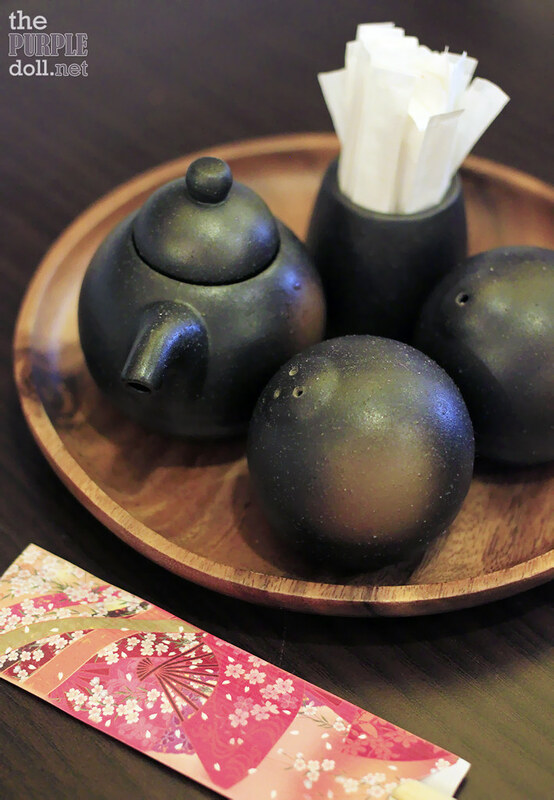 Rosanjin carries a few sweet items on its menu like ice cream, dessert gyoza, dango, and shaved ice. But for our trip, we got to try one of their pudding variants. 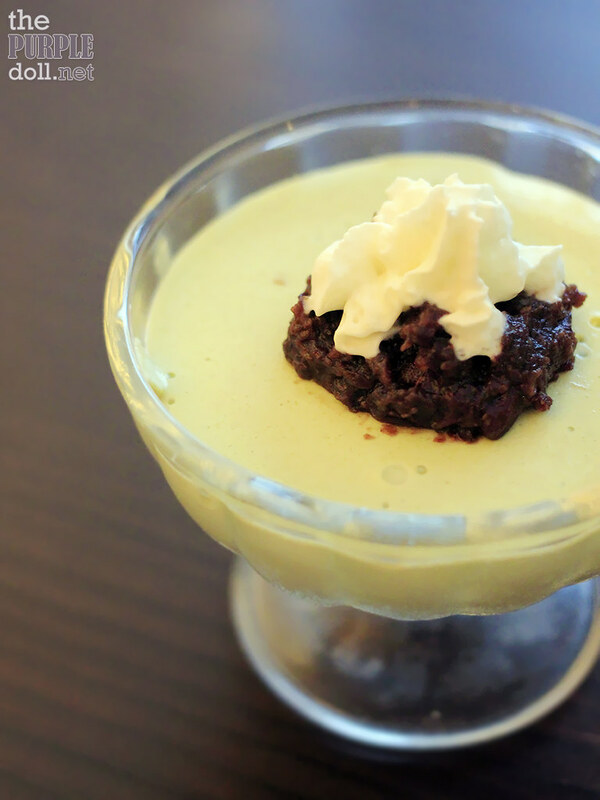 I normally gush over anything matcha, anything red bean, and anything pudding. However, this serving unfortunately didn't live up to our expectations. While there's a good balance of green tea and cream, the texture is a wee bit gritty and a little too solid -- not jiggly like how it's supposed to be. As for drinks, we got to try most of Rosanjin's shakes and found them satisfying. My green tea shake in particular, is something I'd order again when I visit some time in the future. 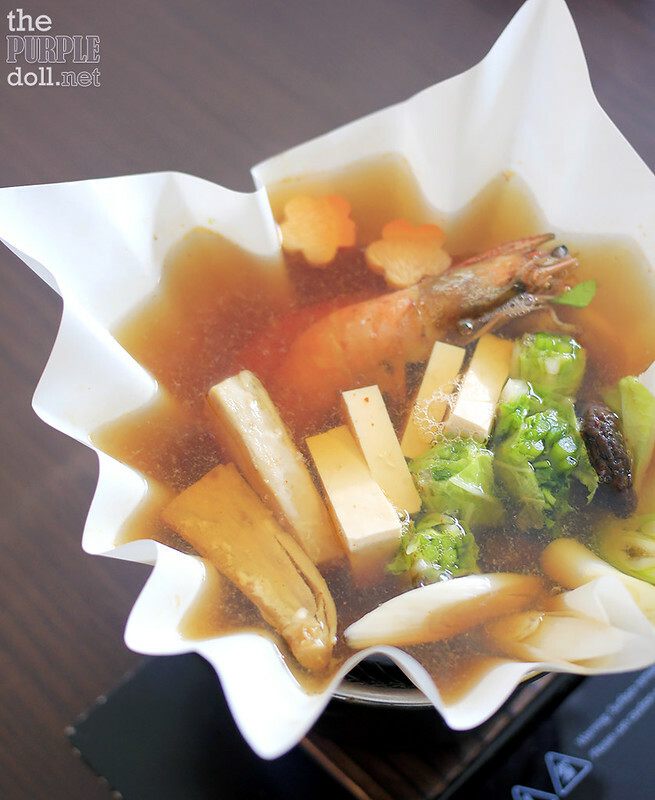 As it promised, Rosanjin Japanese Restaurant has truly provided us a new way to enjoy Japanese cuisine. The Kaminabe and Tobanyaki dishes were not only good, but are interesting as well. And while prices for these types of Japanese food can get steep, it's worth checking out especially for their novelty. Oh, and I should mention that servers will definitely be assisting you with the cooking of both the Kaminabe and Tobanyaki items. Next time though, I'm keen on trying out the more usual Japanese dishes at Rosanjin and see how it fares.